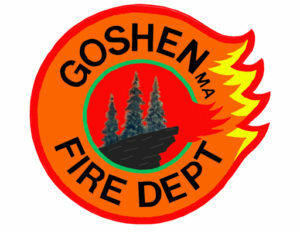 GOSHEN, MA – The article in the Daily Hampshire Gazette (by Fran Ryan) provides a detailed view into the lives of the Phil and Jess Judd family from the time they escaped the flames that consumed their home last weekend to the overwhelming support they received from the community in the subsequent days. “Judd also noted that his children are trained in how to respond to fire. He credited the educational programs of the Goshen Fire Department and Fire Chief Labrie with helping his family well before Friday’s tragedy. “The Goshen fire chief comes to the school and teaches the kids what to do in case of a fire, and we have gone over our evacuation plan quite a bit, so the boys knew exactly what to do,” he said. Members of the Goshen Fire Department met this past Tuesday night at the firehouse to discuss Friday night’s fire; the tactics we used, what we observed, and overall fireground operations. During that discussion, this quote was shared with the group. Fire Chief Sue Labrie smiled. Over twenty years ago, Chief Labrie began teaching fire safety to students at the old Goshen Center School. This program transitioned to the New Hingham Regional Elementary School when it was opened in 1998. In 1996, the MA Department of Fire Services (DFS) began offering the Student Awareness of Fire Education (S.A.F.E.) program which provides grants to local fire departments to teach fire and life safety to children in schools. The program was introduced to Goshen and Chesterfield students shortly thereafter. What do do when the alarm sounds. These concepts are introduced to pre-k students and reinforced each year at school and at the Cummington Fair. Our goal has always been to raise a fire safe generation. Since the S.A.F.E. program began in 1996, child fire deaths have dropped significantly in Massachusetts. We’d like to think that we’re playing a small part in that statistic.